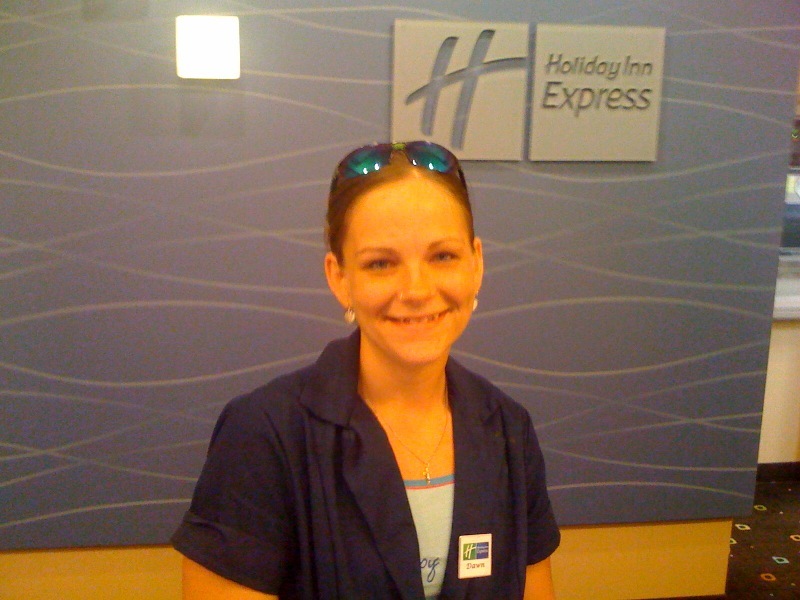 Last night when I arrived at the Holiday Inn Express in Anderson I was greeted by Lila Ilyas at the front desk. She gave me the key to my room and I asked her if they had a treadmill and she said they did. Then I asked her if she would get on it for me and she laughed. I went up to my room and unpacked. I called the little wife and then dressed in my play clothes for the treadmill. I went back down stairs and asked Lila for the key to the treadmill and joked with a little bit. I walked my 4 miles and then returned the key to her and saw that she a little break from a busy evening, so I gave her one of our church Gospel tracts. I presented the Gospel to her and after going over the Scriptures she bowed her head and asked Christ to pay for all of her sins. AMEN! This morning I was up at 6:30. I had my quiet time and went down for a light breakfast. I came back to my room and worked on some chapters for some new books. I then showered, dressed, and went down stairs to meet the pastor. The pastor and his son Charlie were in the lobby. I looked and Lila was behind the registration desk and I greeted her. Standing next to her was a lady by the name of Dawn Myers. Dawn works at the motel along with Lila. I introduced my self to Dawn and gave her a Gospel tract. Lila said to Dawn, “This is the man that saved me!” I laughed and she said, “Well technically Jesus did!” I then presented the Gospel to Dawn and in a few minutes she bowed her head and prayed for Christ to be her personal Saviour and to pay for all of her sins. GOTTA LOVE SOUL WINNING!